Original feature film screenplay (no shorter than 70 pages and no longer than 120 pages) in PDF format. As our judging process in anonymous, you must not include your name or contact information on the title page, or anywhere within the body of the script. Application fee of $40 ($30 if submitted by the early-bird deadline of August 11 at 5PM CDT). Entrants must submit the Application Materials by the entry deadline of September 18, 2017 at 5PM CDT via the FilmNorth website. No paper entries are allowed. Entrants will receive an email confirmation of their entry. Applications will be reviewed by FilmNorth program administrators to confirm eligibility. If there are any questions, entrants will be contacted for clarification. 10 finalists and the winner will be announced by March 20, 2018. Scoring by the judges is strictly confidential, and will not be shared with any of the entrants. A local panel will read the first 20 pages of each screenplay. The 20 highest-scoring screenplays will advance to the next round. A second local panel will then read the top 20 screenplays in their entirety and select 10 finalists. A national panel will read the 10 finalists’ screenplays and select the winner of the residency. Scripts should be between 70 and 120 pages. Although your entry will not be disqualified if it is longer or shorter, for your own benefit, we strongly recommend that you keep your script within this guideline. Pages should be numbered. Before you submit your script, please check to make sure there are no missing or duplicated pages. As our judging process is anonymous, please include only the title of your script on your title page. (If you like, you may also include your WGA registration number, but this is not required.) When we receive your entry we will assign your script a number, and our Judges will identify your screenplay solely by title and script number. Under no circumstances should you include your name or contact information anywhere within the body of your script. You must be at least 18 years old or older and a resident of Minnesota, as determined by voting and/or payment of taxes in the state, and have lived in the state for at least one year prior to the application deadline. You must participate in all aspects of the residency program, including meetings, public relations opportunities, residency events, and a written final report. You may submit up to two (2) entries. Once a script has been entered in the competition, under no circumstances will we accept substitutions of new drafts or corrected pages. You may not be an employee of FilmNorth, the Knight Foundation, or an immediate family member of an employee. Screenplays must be the original work of one writer, or of two writers who shared in its creation. Collaborative work for which one writer developed the idea and another writer wrote the screenplay is not eligible. Collaborative work by three or more writers is not eligible. The collaborator’s name must be added during the online application process. If a collaborative work is selected as the winner, the two (2) writers will divide the Residency award equally. Screenplays must be written in English. Only original screenplays are eligible. Novels, short stories, stage plays, treatments, synopses, etc. are not eligible. Adaptations of books, plays, or other source material written by another author are not eligible under any circumstances. A script that has been adapted from your own book, play, or other source material is eligible if you have retained all film rights to the work. As our judging process is anonymous, you must not include your name or contact information on the title page, or anywhere within the body of the script. Entries must be completed and submitted by the entry deadline using our online application form. While it is not a requirement, we do recommend that you register your script before submitting it to any company or individual you do not personally know.You can register your script with the U.S. Copyright Office and/or with the WGA. The previous winner of the FilmNorth Screenwriting Residency are not eligible to apply. Finalists are eligible to reapply. To the accuracy of the information supplied in this application. That the material submitted is the sole and original work of you, or you and your co-applicant, and that you have full power and authority to submit the screenplay on the terms and conditions hereof, each and all of which shall be jointly and severally binding upon you or you and your co-applicant. That you will inform us immediately of any changes in the ownership, representation or other authority over the screenplay. That you understand that neither FilmNorth, nor the panelists shall have any obligation to you in any respect whatsoever with regard to the screenplay. No prior, present or future discussion and/or correspondence between us shall imply any obligation on our part, unless such correspondence is in the form of a written and executed legal agreement and/or deal memorandum which by its terms and provisions may form a contract between the applicant and FilmNorth. That you agree that if anyone associated with this process, either at FilmNorth or on the local or national panels, hereafter produces and/or distributes a film or other project based upon or including the same general idea, theme, situation, plot, setting, background, geographical idea, and/or period of history as the screenplay, then, unless that person has substantially copied the expression and development of such idea, theme, situation, including the characters and story line, as herewith or hereafter submitted by you, neither FilmNorth nor anyone associated with the FilmNorth Screenwriting Residency, including the local and national panels, shall have any obligation or liability to you, your heirs, my assigns and/or any other third party of any kind or character, nor shall you be due any kind of compensation whatsoever in connection therewith. To your agreement to hold FilmNorth and the Knight Foundation and their respective directors, officers, staff, interns, independent contractors, panelists and all others acting on behalf of and/or in furtherance of their respective organizations harmless from, and defend them against, all claims, demands, losses, costs, damages, judgments, liabilities and expenses (including attorneys’ fees) arising out of or in connection with any work submitted to the FilmNorth Screenwriting Residency or any project developed out of such work. That the burden of obtaining copyright or otherwise protecting any intellectual property and/or proprietary interests in the material, if you wish to do so, rests entirely with the applicant. To your understanding of the purposes and conditions of the FilmNorth Screenwriting Residency and that you have the full right and authority to submit and enter into the requirements of this application and to grant the rights herein granted; that the consent of no other person or entity is required; and that, unless expressly set forth elsewhere in this application, FilmNorth and the Knight Foundation have no commitment or obligation to you, financial or otherwise, as a result of this submission. 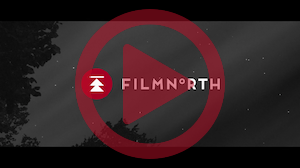 That you are eligible for the competition, and that you will notify FilmNorth if you become ineligible prior to the conclusion of the competition. That providing false or misleading information on this application, or failing in any other way to comply with the rules will subject you to immediate disqualification and forfeiture of the residency. Nothing contained herein is intended as, provided as, or should be construed as legal advice in any manner whatsoever. All legal questions that Applicant may have should be directed to an attorney of the Applicant’s choosing. If any term of this Application is found by a court of competent jurisdiction to be void, invalid or unenforceable, the same shall be reformed to comply with applicable law or stricken if not so conformable, so as not to affect the validity or enforceability of this Application, thereafter this Application, including all of the remaining terms, will remain in full force and effect as if such void, invalid or unenforceable term had never been included. That you agree to execute, acknowledge and deliver to FilmNorth and to procure the execution, acknowledgment and delivery to FilmNorth of any additional documents or instruments which FilmNorth may reasonably require to effectuate fully and carry out the intent and purposes of the application and/or fellowship. If you shall fail to execute and deliver any such documents or other instruments, within ten (10) calendar days after such documents are delivered to you, FilmNorth may, in its sole and exclusive right, immediately terminate this application and/or the fellowship with no further requirement of notice to you. That should you bring any action against FilmNorth, the Knight Foundation and/or any of their respective directors, officers, staff, interns, independent contractors, panelists and/or all others acting on behalf of and/or in furtherance of their respective organizations for wrongful appropriation of the screenplay or any part thereof, such action shall in no event include the right to enjoin or restrain or otherwise interfere with the production, distribution or other exploitation of any film, other project and/or any related production, product and/or service made wholly or partially by FilmNorth, the Knight Foundation and/or any of their respective directors, officers, staff, interns, independent contractors, panelists and/or all others acting on behalf of and/or in furtherance of their respective organizations, and you expressly waive all rights to any injunctive or other equitable relief. All remedies that you may have, if any, related to any and all claims in connection herewith shall be limited to an action at law for money damages, which shall, in no event, exceed the fair market value of the material on the date of submission. Should you be unsuccessful in any such action, you assume and agree to pay, upon demand, all costs and expenses entailed in defending and/or contesting such action including, but not limited to, all court costs, costs of discovery and depositions, ascertain originality, public domain status, or any other facts and/or factors deemed necessary or advisable by FilmNorth, the Knight Foundation and/or any of their respective directors, officers, staff, interns, independent contractors, panelists and/or all others acting on behalf of and/or in furtherance of their respective organizations in the defense of such action. Any such action shall be, and is hereby, waived and barred unless filed within six months after first public release and/or use of the disputed material, or thirty days after applicant is notified by FilmNorth in writing that it denies liability, whichever is first. That FilmNorth may retain any and all copies of the submission and shall not be responsible for its preservation and/or return. You have at least one copy or duplicate of the submission. That for the purpose of this application and/or fellowship and any actions contemplated hereunder, the you hereto agree that any and all disputes, legal actions, suits and/or proceedings arising out of and/or relating to this application and/or fellowship and/or any actions contemplated hereunder, whether legal and/or equitable in nature, and/or arising out of contract and/or tort claims, shall be brought in any Minnesota or federal court located in the County of Hennepin, State of Minnesota, United States of America. By my signature to this application, you, regardless of residence, irrevocably submit to the jurisdiction of the courts located in the County of Hennepin, State of Minnesota, United States of America, in any dispute, legal action, suit and/or proceeding arising out of and/or relating to this Agreement and/or any actions contemplated hereunder and/or related hereto. That you hereby irrevocably waive all claims of inconvenient forum and immunity from jurisdiction, attachment and execution, whether on the basis of sovereignty or otherwise, to which you might otherwise be entitled in any legal action, proceeding in any state or federal court of competent jurisdiction and/or arbitration arising out of this application and/or fellowship. That you hereby agree that service of any process, summons, notice and/or document by U.S. registered mail or the foreign equivalent of U.S. registered mail to my address set forth in this application shall be effective service of process for any action, suit and/or proceeding with respect to any matters to which you have submitted to jurisdiction in this application and/or if otherwise made in accordance with applicable law. All application fees are final and non-refundable once submitted.